The Bomar Individual 620.460DGANC-2300 machine is a automatic band saw of two-column design with CNC control providing possibility of automatic double angular cutting. Saw swivelling is smooth within the range of -60 and +60°. It is possible to clamp a cut either single pieces, or complete bundles of material at a time by means of the hydraulic bundle clamping unit (optional accessorie). 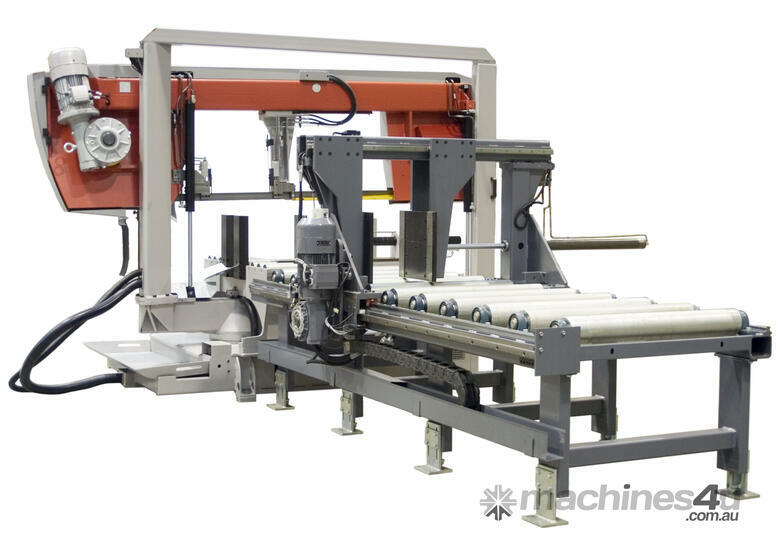 Maximum length of one feed is 2300 mm, but is individually adaptable to the customer needs between 2300mm-6000mm. 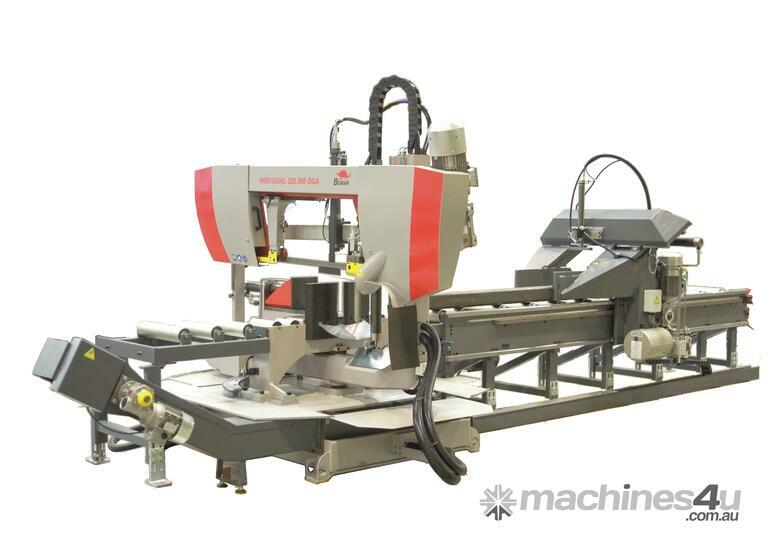 (option) The machine is equipped as standard with automatic control of band pressure to depth providing precise and straight cuts using the 34 mm saw band. The saw is operated simply via the control panel attached to the machine base.